As you can see from the photo, this doesn't quite work. I can force the parts to lie flat, but it feels like this is putting a lot of stress on these elements. 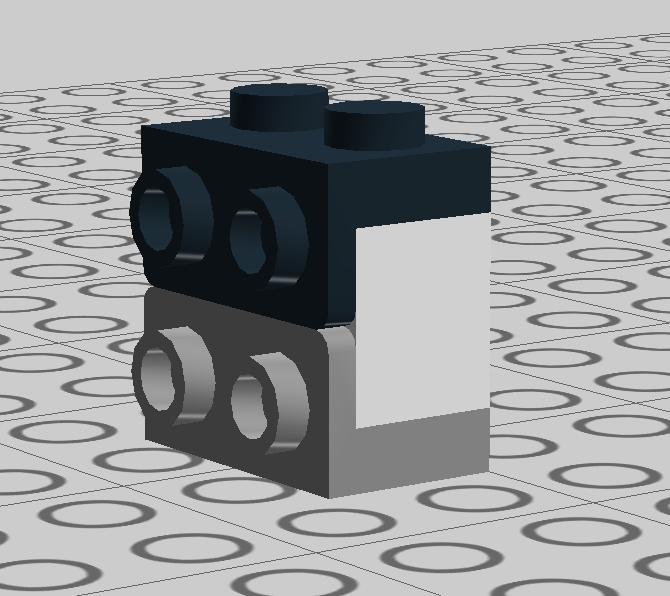 What is causing this to not work, and why weren't these parts designed to work this way? 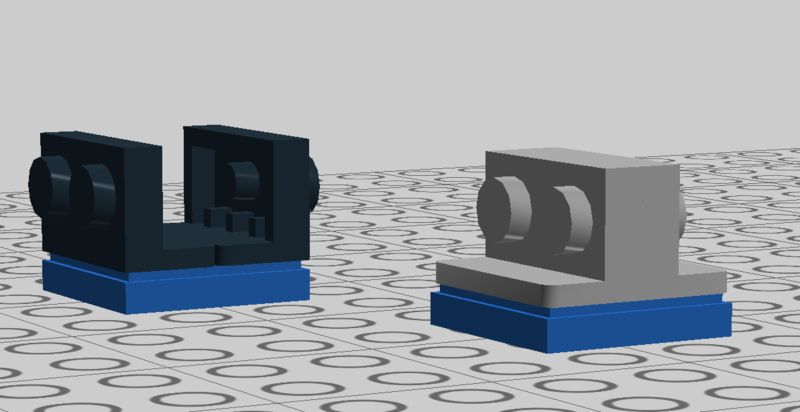 The short answer is because the combined height of the two mini inverted brackets is greater than the interior space of a tile (or brick for that matter.) But you knew this already. I realize it isn't considered standard by the rest of the world, but because the only quality calipers I had access to tonight are customary, all these values will be in inches. 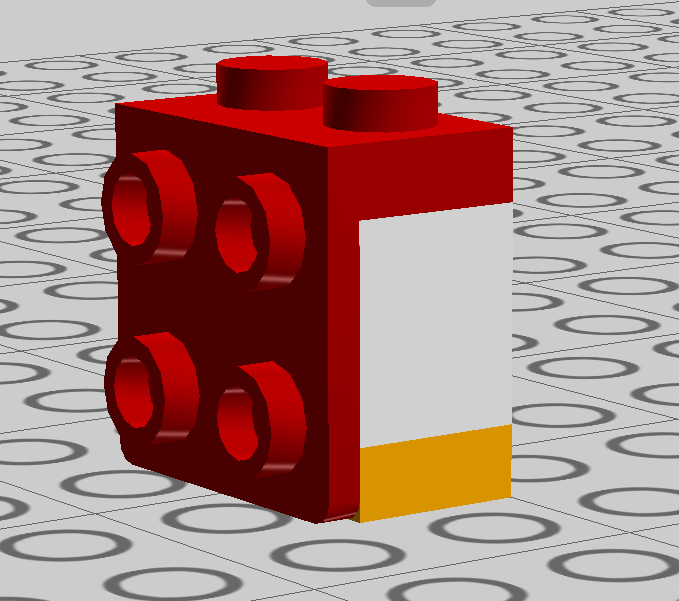 Now, we all know that item 1 and 2 will fit flush onto a brick evenly if a plate is added to the other side. We also know that in practice, if you put 3 on a brick and 4 directly under that same position, the SNOT faces will adjoin where plates may be legally connected. But here's the catch: adding the heights of 3 and 4 does not get 1. That sum does not even get 2. It has to do with where the gap is. On items 1 and 2, the gap is under and above the SNOT part of these elements respectively. But the combination of 3 and 4 leaves the gap between those two plates. 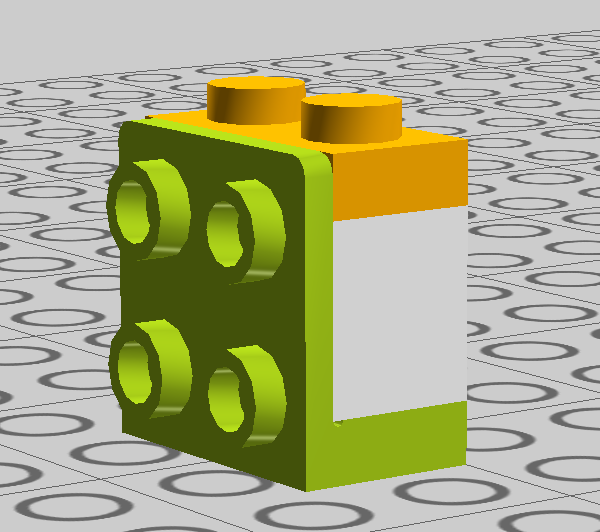 You can see this easily by attaching 4 to a brick and then laying a plate behind. You can see that the corner is square and there is no clearance like we see from hanging 1 off the side of a brick-and-plate. This clearance, by my measurements, is 0.07 inches. This is the height of 4 that is placed at the corner (that leaves a gap between it and 3) This corner is what makes this technique fail. This corner also explains the reason that 3 and 4 are different heights although they suit similar purposes. Finally, this explains why you can affix two 3 elements to the underside of a tile. Twice the sum of the height of the 3 is still less than the interior measure of the tile once horizontal tolerance is accounted for. As a closing solution, I recommend using two 3s attached to a tile as that works in reality. But just to prove how complicated this measurement really is, LDD still thinks that your original problem is a legal connection. Hope this helps. Not the answer you're looking for? Browse other questions tagged building snot or ask your own question. Any way to make this setup “tighter”? 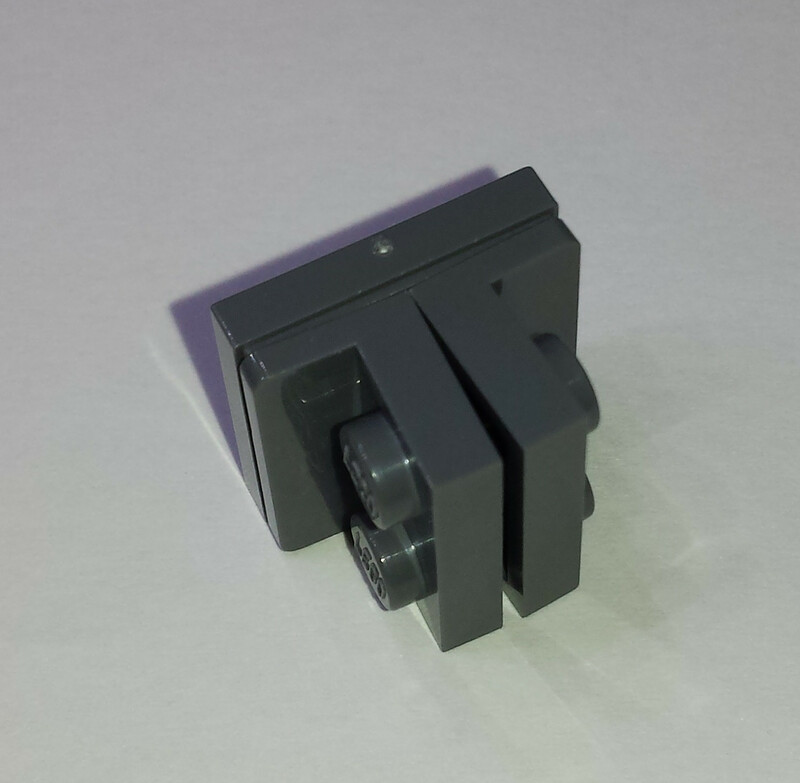 How is this brick attached to the pregnant minifig? Any issues with this non-standard gear combination of 12t gears? Why do LEGO sets have a minium age rating? Why the use of different colors for the inner bricks? How can I fix this gap in the Ghostbusters Firehouse roof? Why do some LEGO City vehicles have tiles in their chassis? Best Way To Make This Panel Flush With The Wall?